Migration is a term representing moving a WordPress website from one location (e.g. http://localhost/site) to another (e.g. http://site.com). 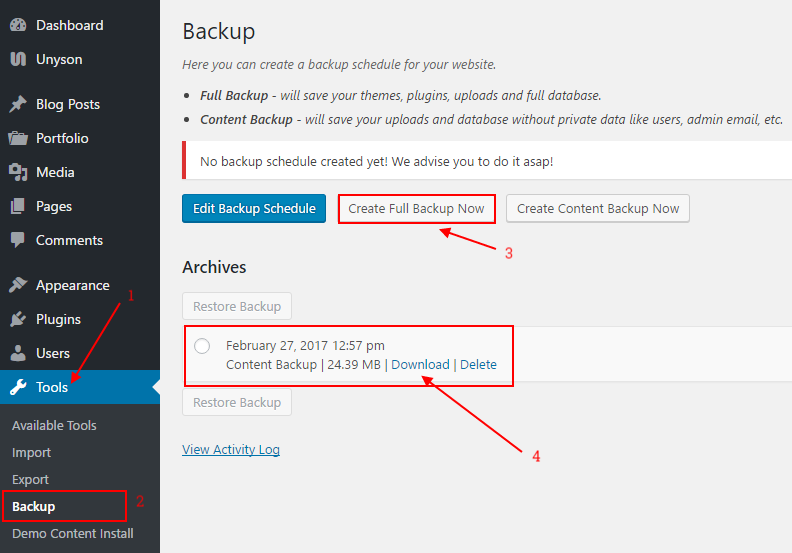 After opening the Tools->Backup page a new archive will be displayed in the Backup Archive list.